Under construction. 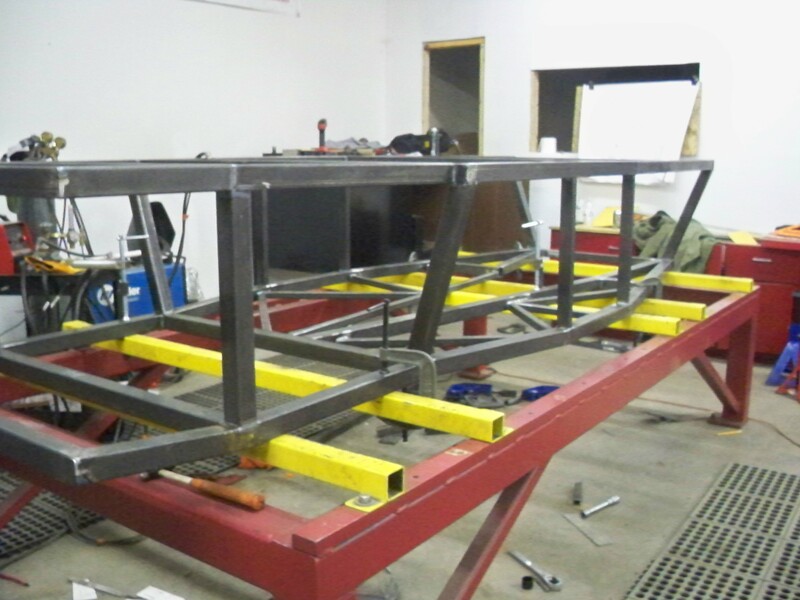 The lower portion of the chassis taking shape. 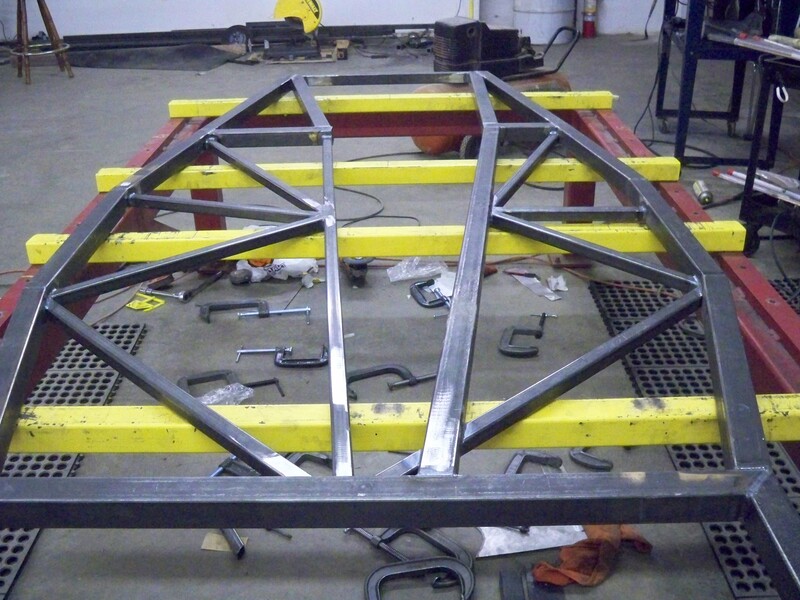 Can you guess what type chassis this is under construction? Brand? Well the type is pretty obvious. Its a GT1/Trans-Am/IMSA style road racing chassis. Brand may be a little more difficult, because it is only the second one built. Everyone that is involved in racing does so because they have a passion for it. And part of that passion is a dream. A dream to succeed at the highest level. And of course we all love to tackle those projects that are a challenge. Thats how it is for Mark K. one of the principals in Roadraceparts.com. A veteran vintage racer he had dreamed of driving a Trans-Am car. Not just drive it but own it as well. So when the opportunity came about to purchase the engineering drawing for a professionally designed chassis and spares he jumped at it. Of course, knowing that one car had been built and successfully raced made it a little easier. A start. 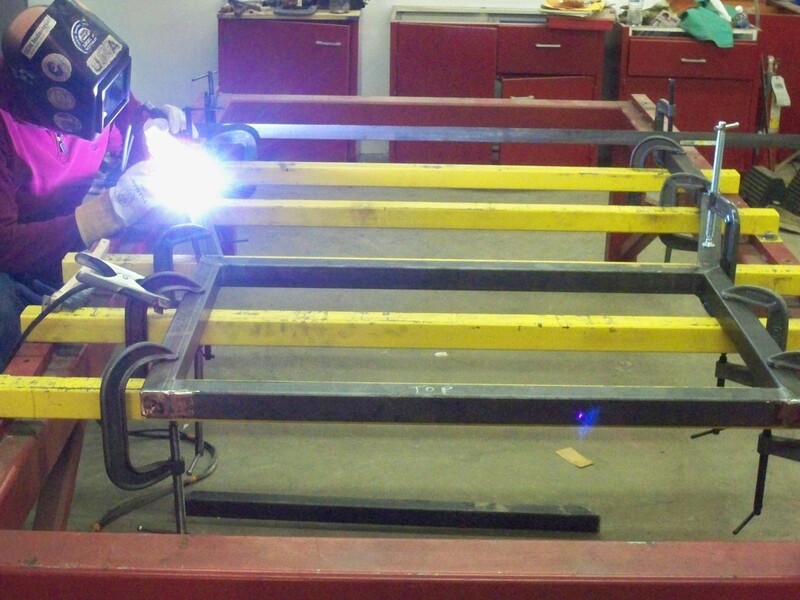 one of the sections that will become part of the lower chassis. 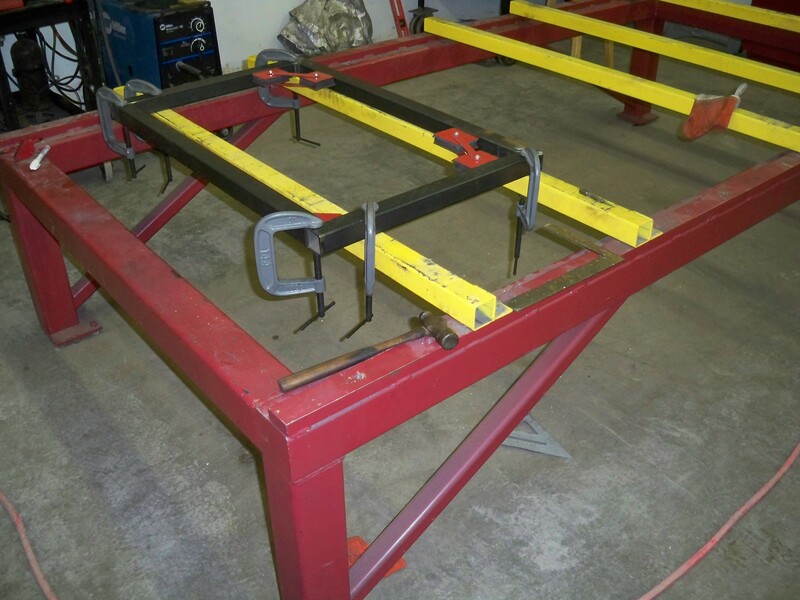 So in this brief article you can see several photos of the chassis on the surface plate. Work continues and all indications are that the results will be well worth the effort. Bottom section of frame completed. So that’s our little sneak preview. Hope you enjoyed it.